Our Lance model 1995 (aka Page) is a 23' foot travel trailer. She is the BEST! 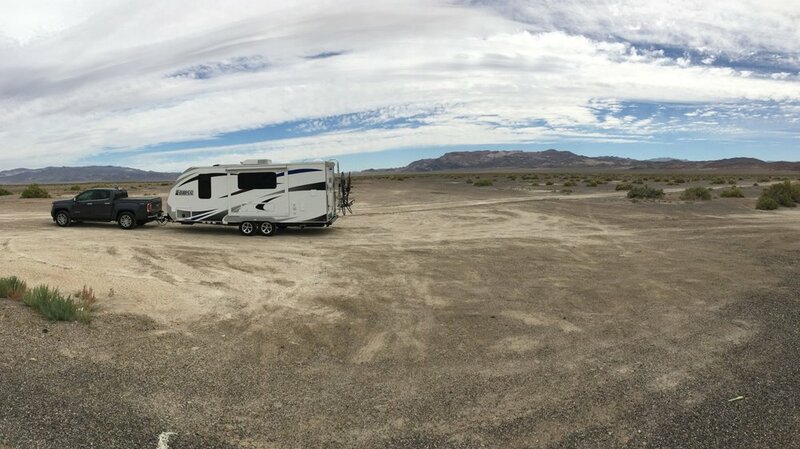 We bought her new because it ended up being only 10% more than a used Lance travel trailer and we got a great deal by being willing to travel four hours south of San Francisco to pick it up. She weighs a little over 4,000 lbs and we made her ours by adding a 150 watt solar panel to the roof. If you are a newbie to rving or a veteran road warrior, make sure to check out our other must have accessories here. Here is her 220 square foot floor plan. Downsizing is the best part, trust us!